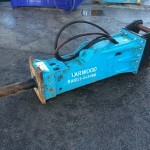 Pre-Owned Excavator Attachments for Sale - Yarwoods have an extensive range of pre-owned and ex-hire fleet attachments available for sale including TOKU, KINSHOFER, Demarec and Everdigm Brands. Yarwoods are Dealers for TOKU, KINSHOFER, Demarec and Hartl products. We have such belief and confidence in the quality of the products we represent, that where we know the history of a product, we will even offer a 3 month Warranty on used...! 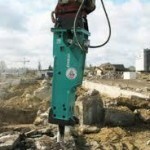 Buying used equipment is a great way for those who do not want to invest large amounts of money on new equipment. 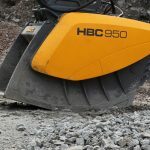 If you are interested in any of our excavator attachments, either submit an enquiry through the website or call one of our product specialist direct. Completely Overhauled, new hoses, supplied with a two-top bracket, painted and installed on your excavator. 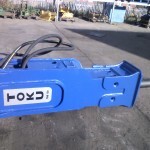 Completely Overhauled, New Jaw, new hoses, supplied with a two-top bracket, painted and installed on your excavator. 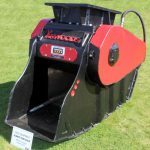 Fully re-conditioned, supplied with a new bottom bush, new hoses, new chisel and a two-pin top bracket, painted and installed on your excavator. Supplied with existing top bracket, hoses and chisel. Supplied with top bracket, hoses and chisel. Fully re-conditioned, painted and supplied with a new bottom bush, new hoses, new chisel and a two-pin top bracket. Fully re-conditioned, including new seal kit, new top & bottom bush, new hoses, new chisel and a two-pin top bracket, painted.